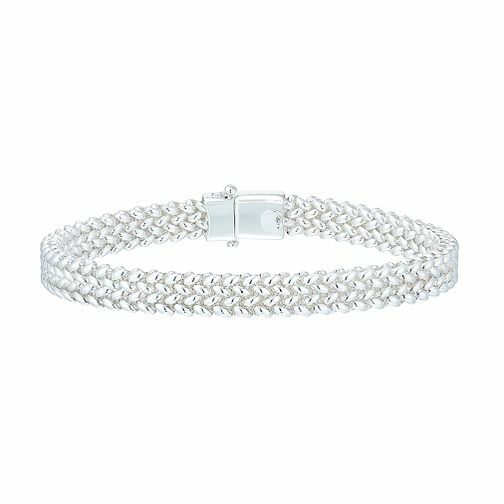 This chic sterling silver bracelet features an ultra fashionable mesh design. Pure elegance for the fashion minded. Sterling Silver Woven Bracelet is rated 5.0 out of 5 by 2. Rated 5 out of 5 by Anonymous from Shiny bracelet It is very eye catching with much admiration from everyone that's seen it.